Late evening take on an LA classic! Digital blending of several exposures. 1 Exposure for the buildings and sky. 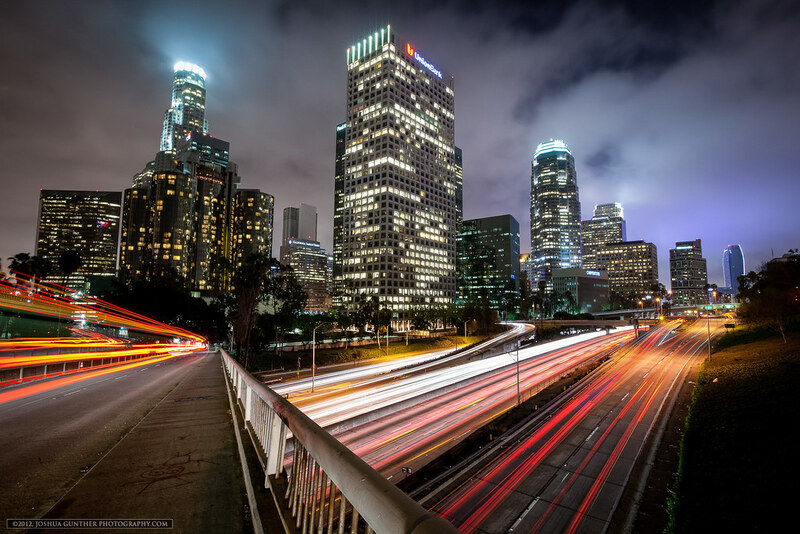 2-3 Exposures to capture all the light trails combined onto one photo using "Lighten" layer blending. Exposures balanced back into one using layer masks. Final adjustments in Lightroom 4.